Find your perfect blend of tradition and modern with this everyday wear Jaanvi Fashion saree. 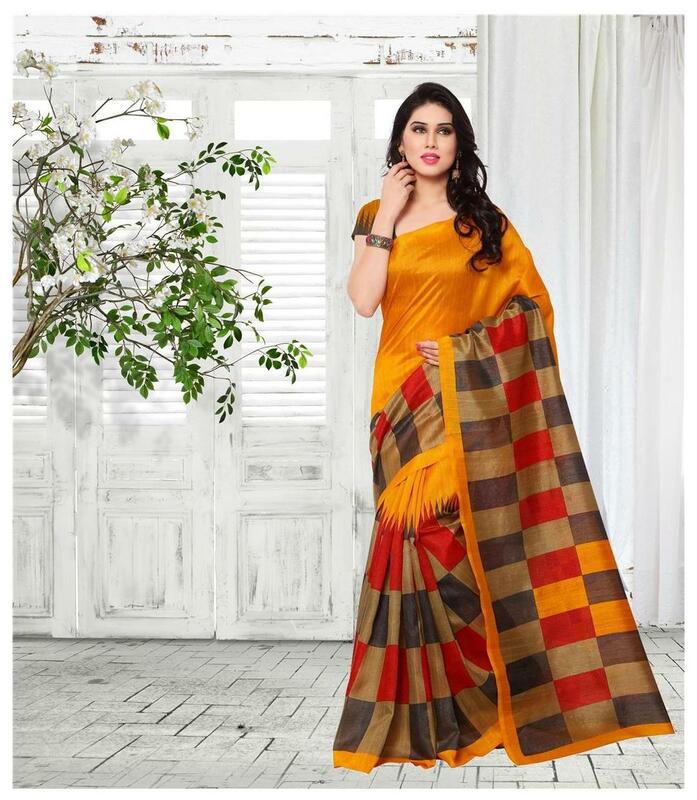 Look ethnic and also trendy in this exclusive silk saree. Pair this yellow colored saree with vintage gold bangles for a more regale look. These alluring printed pattern sarees personify the Indian fashionista. Match this saree with kitten heels and jhumkis to create the perfect look.